I bought two poinsettias this weekend. These richly coloured flowers have become a tradition at Christmas, their lush foliage perfect for the season as they bring texture and richness to festive decor. 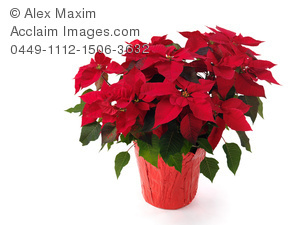 This link from TLC Poinsettia history explains how his Mexican plant came to be such a part of our holiday. Several years ago my younger daughter brought a plant home, which she told me was mine until she left home for good. It was a cactus, one which at that time was unfamiliar to me. 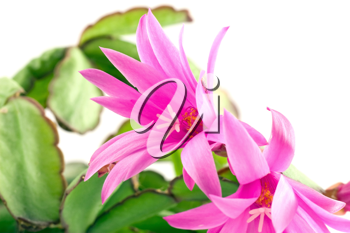 Of course, that's not the case now, as the Christmas (or Thanksgiving or Holiday) Cactus brings shades of summer to many homes during the festive season. Except mine that is. True to her word, my daughter reclaimed the one I enjoyed for so many years. This pretty image, however, has inspired me to get a replacement. Several years ago, my mother-in-law presented me with a potted flower for a special occasion. While I accepted the gift with all of the appropriate courtesies and appeared fittingly pleased, my inner reaction was less enthusiastic. This is such a "senior" plant, I thought, in reference to the fact that they have lined the window sill of every elderly person I've known. Funny, however, how time can alter a mindset. 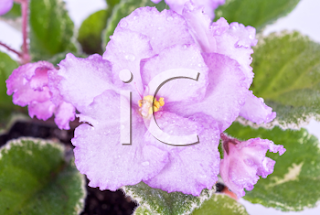 I have, particularly at this time of the year, developed an appreciation for the African violet, for the way it brightens my indoor environment as my outdoor one has become rather stark. So this week's image is bringing a little colour your way, too. 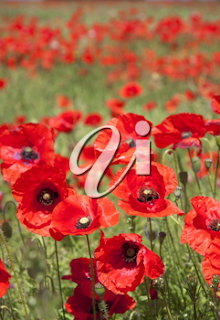 With the advent of Remembrance Day, the choice of featured flower for this week is obvious. A symbol of peace, the blood-red poppy is worn as a remembrance of war and conflict. It honours the veterans who fought, and gave their lives for, our freedom.